Yields: 2 - 6 depending on your appetite! Rinse and pat dry your pork. Pork should not be cut up but can be slit to get seasoning in between. Have your butcher cut the slab into no more than 3- 4 inch thickness. In a mortar or metal bowl use a pestle to grind pimento seeds. I find that wetting them makes it easier. To the bowl add the leaves and pound as well. See photo. Add garlic and crush to a paste. Grate ginger and add to bowl. Add scallion stalks and pound to a pulp. Pound everything together to combine. Hold thyme with both hand rub together to release some of the juices. 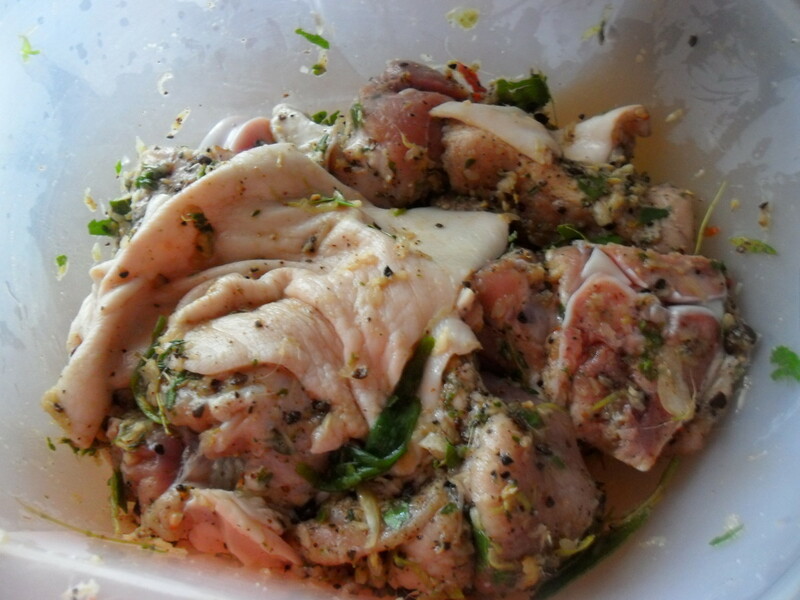 Rub of extra thyme juice from your hands unto pork (waste nothing). Give one last pound to all your seasoning. Using hands make sure everything is combined and add salt. You can taste your seasoning and salt to your preference. Using fingers rub you pork thoroughly making sure to get some into the slits you have made. Marinate your pork until you are ready to grill or roast in the oven. You may do this 24 hours in advance. 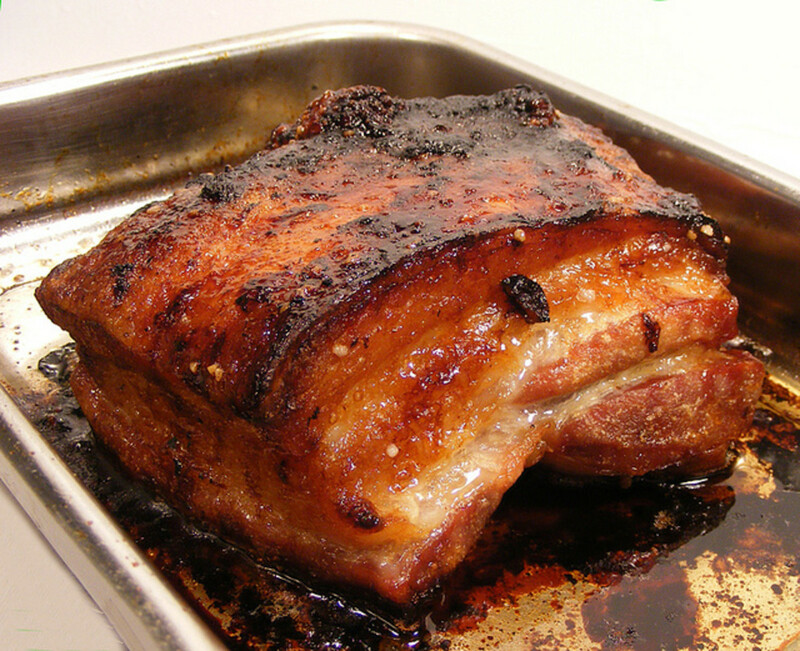 Authentically, the pork was roasted over a fire pit but as modern ways of cooking came along it was roasted on a grill and more recently in the oven. If you use the traditional spice to flavor your meat, cooking it in the oven will give you the same taste. You can use a grill pan or flat baking tray. Line with aluminium foil and preheat the tray in the oven for 5 minutes. Remove pan and place meat on it, you should hear it sizzle similar to placing it on a grill. Place a couple pieces of pimento wood on the bottom of the oven. You should open the windows. The wood may start to smoke. To prepare the wood you need to strip their bark and pre-soak them in water. 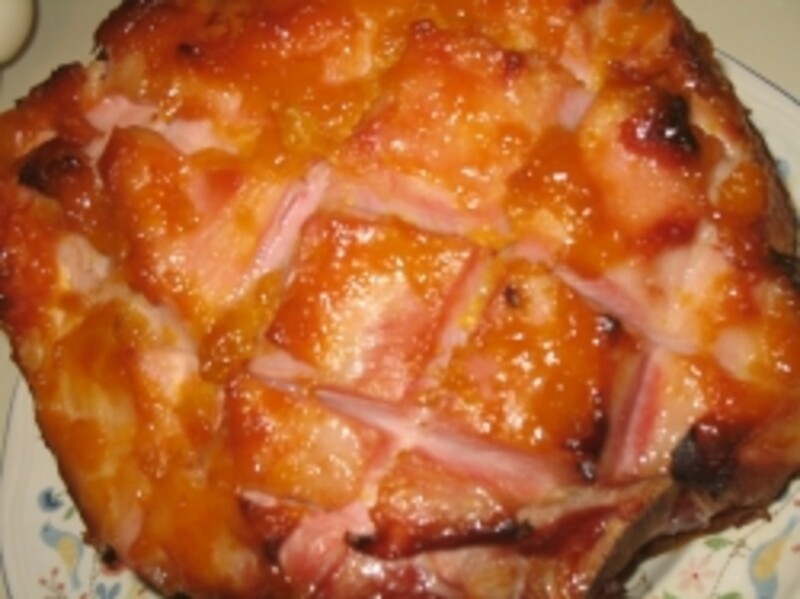 Cook your pork for 20 minutes in the middle of the oven. Turn the meat and cook for another ten minutes. Then cover with aluminum foil and continue to cook another 20 minutes. The meat should be tender by now so turn the oven to broil and cook until nice and brown. The spices used in this jerk pork recipe are the exact spices originally used in the traditional jerk or pit roasted pork. 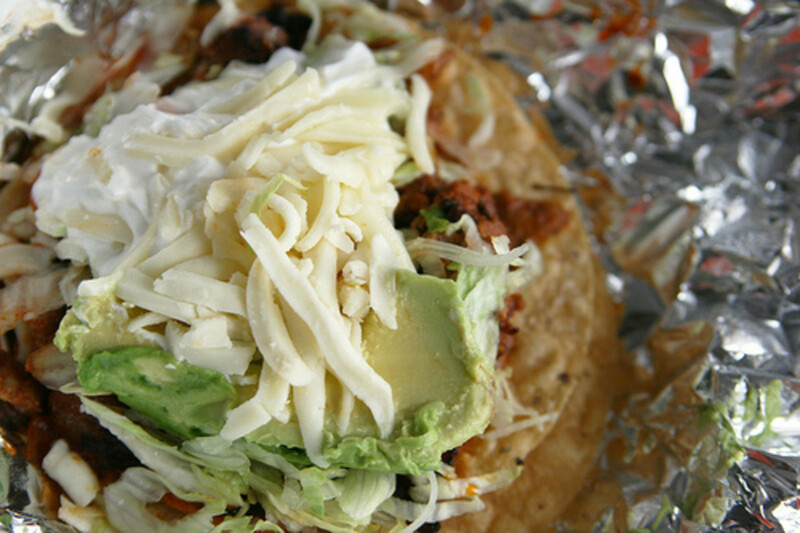 The main ingredients used are the pimento seeds and leaves. Originally the pork was seasoned with pimento leaves, seeds, pepper and salt, then stored in a wooden or plastic barrel. This method of preserving meat was due to the lack or refrigerators in those days. Our grandfathers would take from the barrel whatever they needed to cook for each day but within a week the meat would start going bad so a new method was developed by placing the seasoned meat in mesh wire over the fireplace. This mesh wire was known as "kreng-kreng". This would smoke and slow cook the meat and so it would last longer. 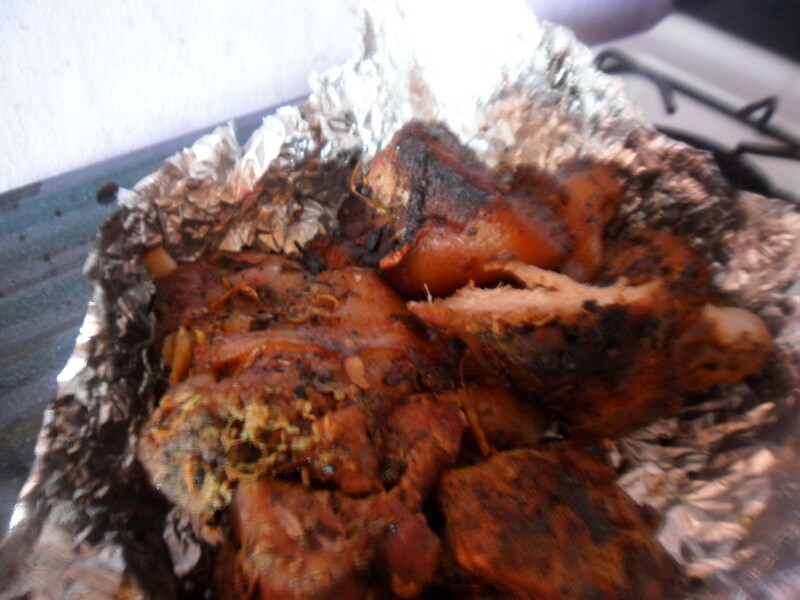 Subsequently the spices were used to season pork and placed on pimento sticks over a pit fire. 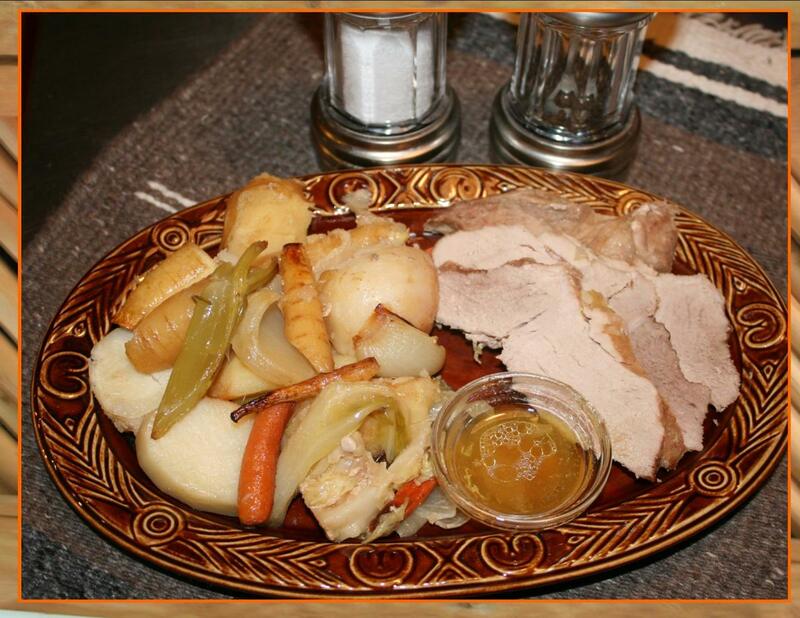 Other seasonings had been added to spice up the pork. These spices included nutmeg, cinnamon, garlic, thyme, onion and scallion. Some persons would also add cloves to this combination as well. The modern jerk spice does not have the pimento leaves and have added a few other spices that are not quite original. I really enjoy your menue its the best. Hello Colin, this recipe is delicious. I hope you get a chance to try it. 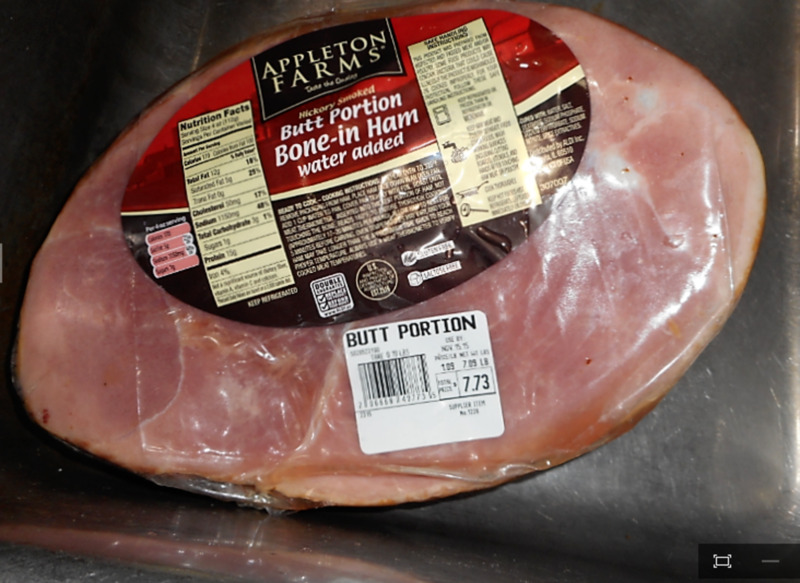 I don't eat a lot of meat these days, but this sounds just delicious. Great Hub, thanks for sharing. Hello Capncrunch, thank you! I love jerk pork and chicken. We have even found ways of jerking other kinds of food such as fish, lobster, shrimp, goat and beef! Hello Newusedcarssacram, prok is quite delicious I must agree. Thanks for reading and commenting. Can there be anything more delicious than pork. There is no excuse for not trying this dish. Hello FullOfLoveSites, I really hope you like it,let me know how it is for you. Thanks for stopping by. ..feeling good right now sweet Carolee - listening to the classic Bob Marley album 'Legend' - greatest hits here on Boxing day night 11:54pm Irie. Hi Epi, just checking in a saw your wonderful comment. How was your Christmas day? I was so busy cooking for family I didn't even check my hub pages. I hope the season treats you well and that the new year will bring much prosperity and peace. Warm wishes from the sunny island and lots of hugs to you. 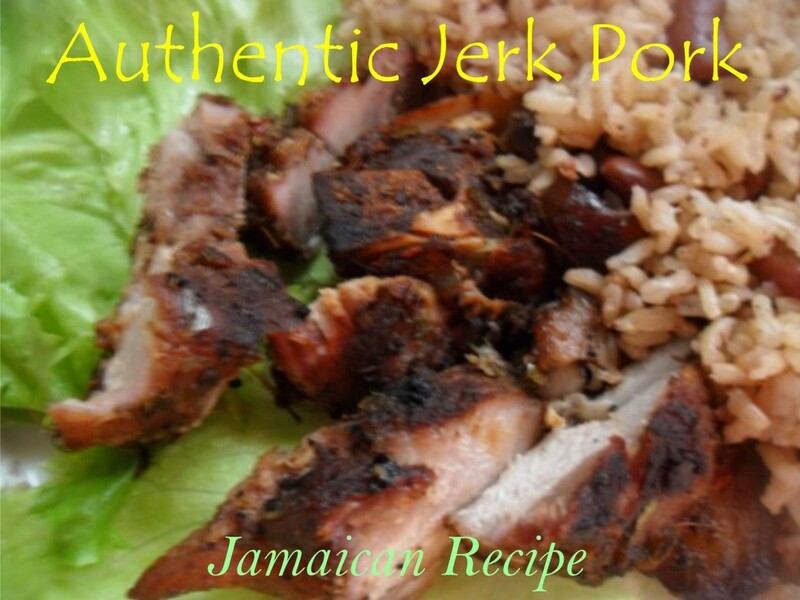 ...when you mentioned the original authentic Jamaican recipe - I just knew I had to read this righteous hub presentation from an authentic hub superstar and an authentic Jamaican beauty. Hi Teaches, yes I think it is definitely worth the effort. I assure you it's nothing like you have ever had before. The spices are a unique blend that makes the meat really tasty. Cardisa, the opening photo has me drooling. I have heard of jerk pork but never tried it. You have convinced me it is worth the effort! Hi Ruby,, try searching your local supermarket, they are pretty famous and export to the US. You can also ask for the dry jerk spice bu the wet spice is better, closer to the real thing. I hope you find it. I love pork about any way. I prefer baking. I wonder where i can find walkerswood seasoning outside the internet? I guess i will Google. This looks delicious and not too difficult to do. Thank you..
Hi Carol, do you have an Asian food store near you? If not you can get them from eBay or Amazon.com. I love this different and yet authentic way ...Now I just have to find pimento seeds. LOL, Multiculturalsoul, you can pretend your sandwich is a roast pork sandwich! I should not have read this at lunchtime. My wimpy sandwich looks so tasteless right now. Thanks Mhatter, so you are a pork lover too I see. Thanks Faith, I know a lot of people like our jerk recipes, so decided to share my Sunday dinner. Woo, looks amazingly delicious. Thanks for the recipe and the added history behind the Jerk spice origin. I am so hungry right now you can't imagine. Doctors have machines for tele-surgery, I wish there were machines for tele-cooking, I'd definitely hire you no matter the price. Hi Susan, yes you can just put it in the oven...darn....lol. I am trying to figure out what herb you have that taste similar. 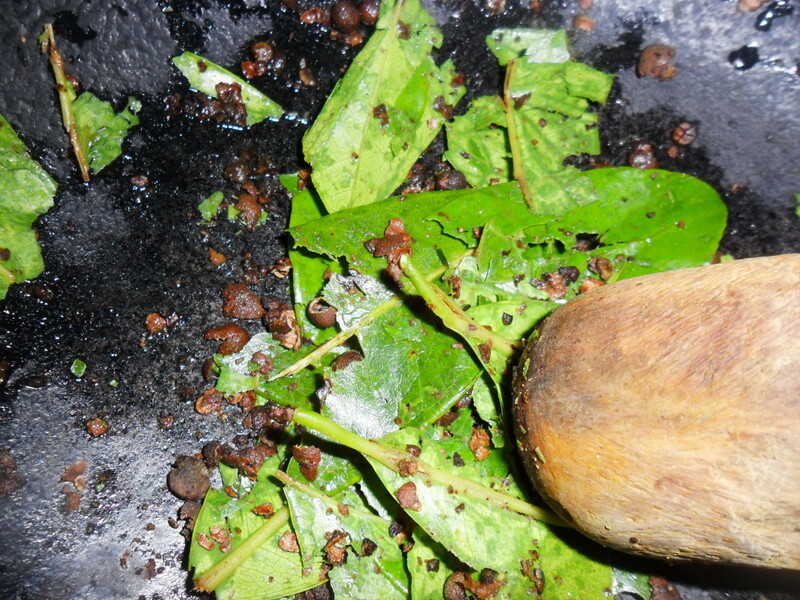 But the closest taste is clove so I suggest grinding about 8 - 12 cloves to go with the spices. Just put a pork roast in the oven .... darn :( Next time I'll try your recipe minus the pimento leaves. Hey there Sunshine, you can use the wet spice from the bottle and try it. The pimento leaves might be a little hard to come by. This looks yummilicious! I love Jerk, we had Jerked Chicken tonight, but our marinade is from the bottle...yours is authentic. I'll attempt it, one day. Thanks for sharing! Insightful Tiger, I made this today and my fiancé ate the whole thing.....lol. You must try this. You can buy the jerk spice in the supermarket or online. It may be difficult to the the fresh pimento leaves or seed. Hi Billy, I hope you can get the spices, if not just buy the pre-made jerk seasoning. I am a big pork fan and this looks delicious. Count me in!